To celebrate the launch of our Summer Collection 2018, we wanted to introduce some of our favorite pieces from the collection. 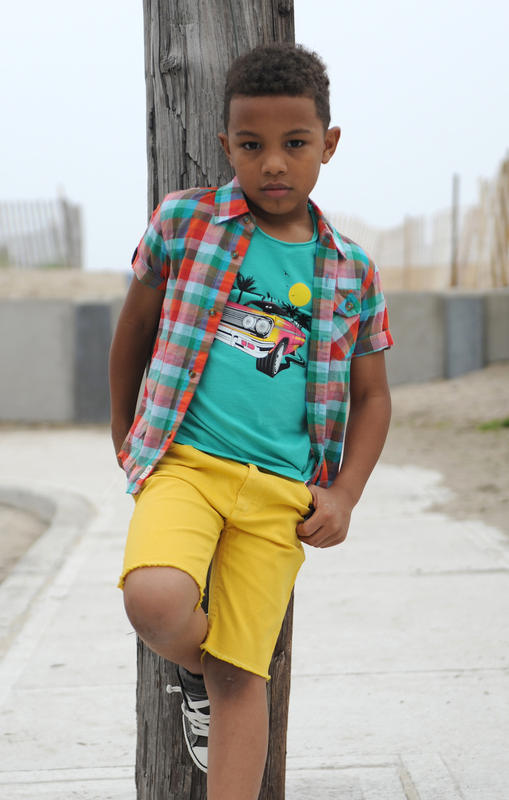 The line features buttery soft, light fabrics, classic silhouettes, bold colors and of course, fun graphics. The beauty of the collection is that it’s very mix-and-match – pick a top, pick some shorts and you’re ready for adventure. Check it out! Your favorite Graphic tee is back in a bunch of cool new colors and prints. The Lowrider Tee features a vintage, LA-inspired car print and comes in two bold colors. Team in with denim and sneakers for the ultimate summer look. As with all our tees, you can also add a fun pop of color to a formal look, and team the tee with skinny twills and a blazer. 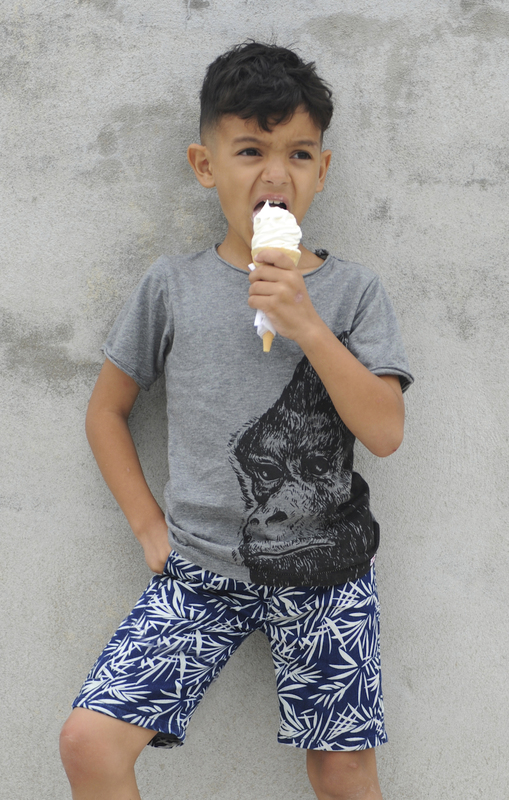 We love the Gorilla Tee, which features the king of the jungle in stunning hand-drawn detail. Little musicians will love our Rockstar Tee, and there’s nothing not to love about our Hipster Tee which features a cool graphic – we’re talking headphones, skateboards, and of course pizza. It basically sums up our summer plans in one shirt. For those in-between events, we have you covered with a range of not-quite-tees. For in-between temperatures, we love the Short Sleeve Sweatshirt. It’s a sweatshirt fabric with short, cuffed sleeves, and is a perfect transitional piece. It features the same cool Skull graphic as on our Skully Tee. The Hooded Tee is the ultimate post-beach shirt; with breathable woven fabric, a big kangaroo pocket and a super-cool hood. A slightly dressier option is the Houston tee – neutral colors and an on-trend henley neckline. Team with our Skinny Twills for cool smart-casual. For something a little different, the Chroma Tee is a vintage-inspired tee with a faux pocket and on-trend distressed look. The STAR of the summer collection is our Printed Tee – we honestly can’t pick which print we love more so we won’t. 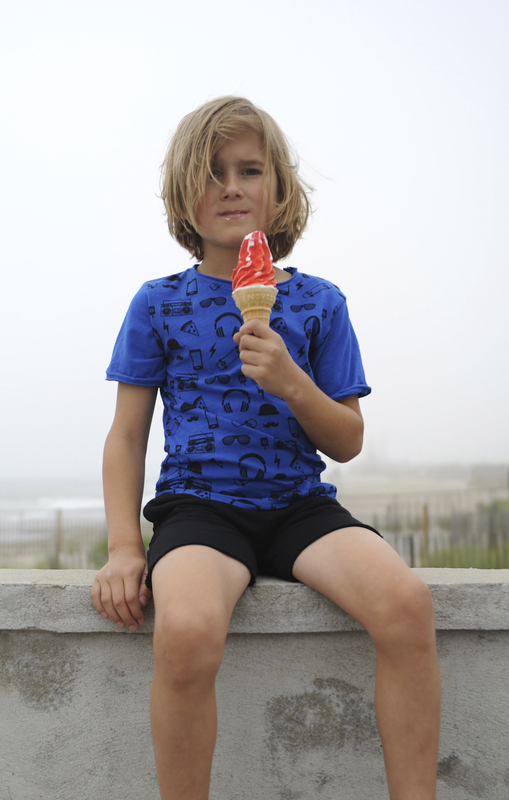 Bananas come in many forms – regular bananas, banana smoothie, banana split, and obviously, banana tee. 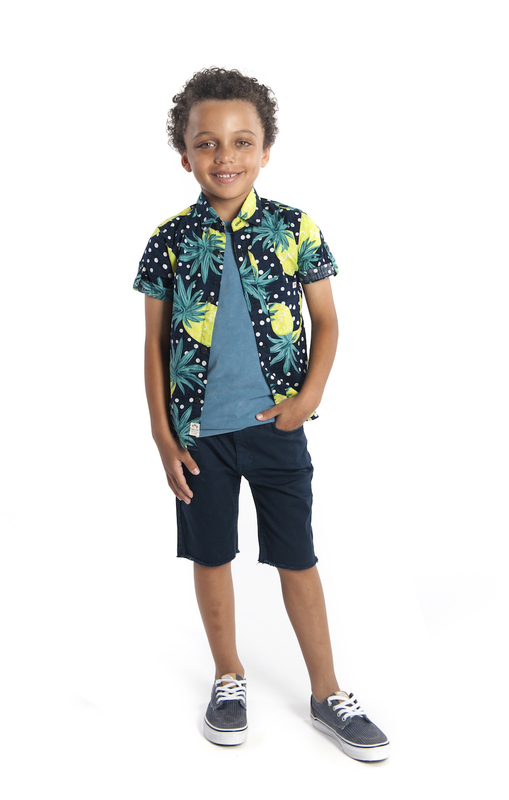 The Monstera shirt is covered in palm fronds, and will transport you straight to the tropics. Promise. It’s not a proper summer day without your favorite pair of shorts – our summer collection has something for everyone. 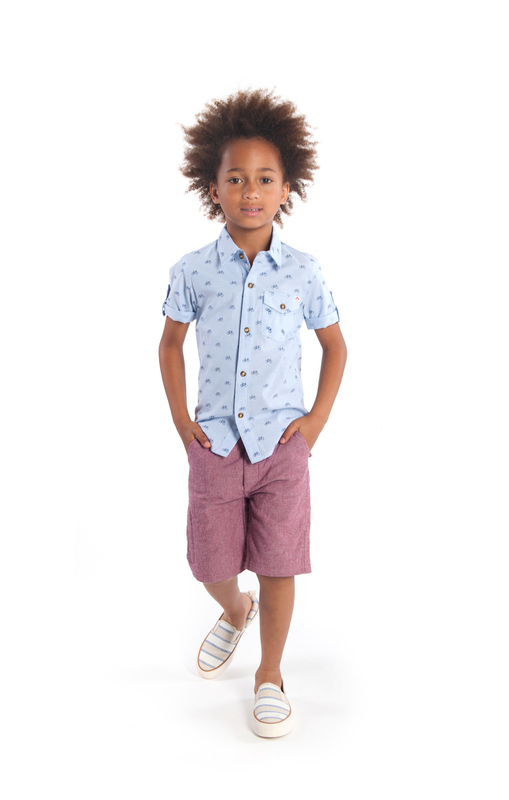 For a soft short, we have the Camp Shorts and the Reef Shorts. Both feature an elastic waist, faux drawstring and deep pockets. These are one of the biggest “HOW ARE THEY SO SOFT” pieces that we do every year. The Reef Shorts are a little more structured with a zip pocket and finished hem, whereas the Camp Short has a distressed hem and open pockets. We love styling these with a graphic tee and sneakers = ultimate street cred. If you’re feeling something a little more structured, we have the Punk Shorts – a skinny-leg denim-feel short with pockets and a semi-elastic waist. A highlight is the bold Spicy Mustard color – a great way to make a statement and still be super comfortable. 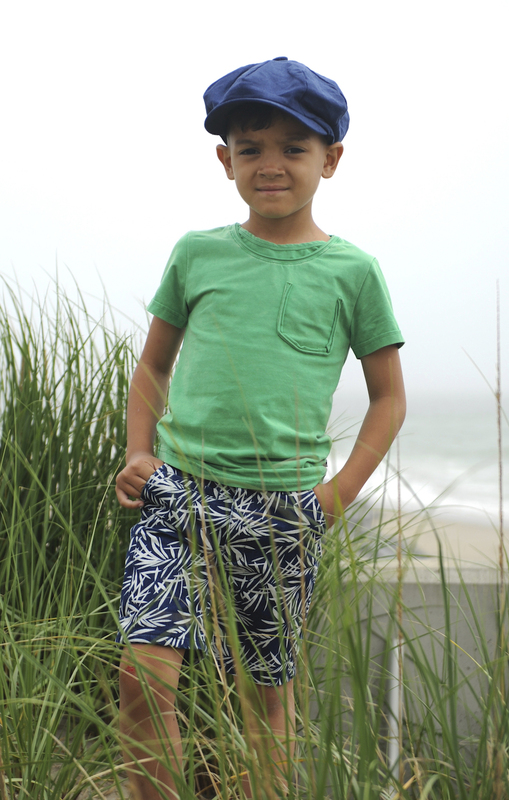 The Coastal Shorts are a more relaxed fit in neutral colors. Both styles are super versatile – they can be dressed up with a collared shirt and a blazer, or dressed down with a tee and sneakers. Comfort and style have never been easier.